Almost all the good things in life start out as dreams. - Building a house on the land where your parents were born. - Selling property in Greece in order to help your children go to college. - Getting the Greek Citizenship. - Retiring to your homeland. We are able to help you and your family achieve any of these goals by advising you on your rights, explaining your obligations and taking advantage of the high value assets you may have left behind in Greece, or assets you are interested in acquiring with no need for you to travel to Greece or go through consular procedures at the Greek Consulates worldwide. These assets need to be protected. Our unique approach Identify > Explain > Take Action will help you reconcile and complete all your legal and tax matters in Greece. Our bi-lingual team will be with you every step of the way. Our approach provides the framework for a conversation that defines exactly what you want to achieve and helps us work together to create your plan of action. Not only are we highly effective, but we care about providing the highest level of customer service for each client at law costs. We truly care about our clients, and we pride ourselves on our friendly, personalized service that gets results. Not Sure What To Expect From A Consultation? We understand. 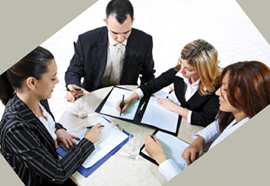 At LAW-TAX IN GREECE CONSULTING, we know that your Legal or Tax matters are personal and confidential. That's why we guide you and make sure you're comfortable throughout the process, starting with your confidential consultation. Remember, you're under no obligation. Your complimentary 30 minute-consultation is simply a chance for you to see if LAW-TAX IN GREECE CONSULTING is right for you.